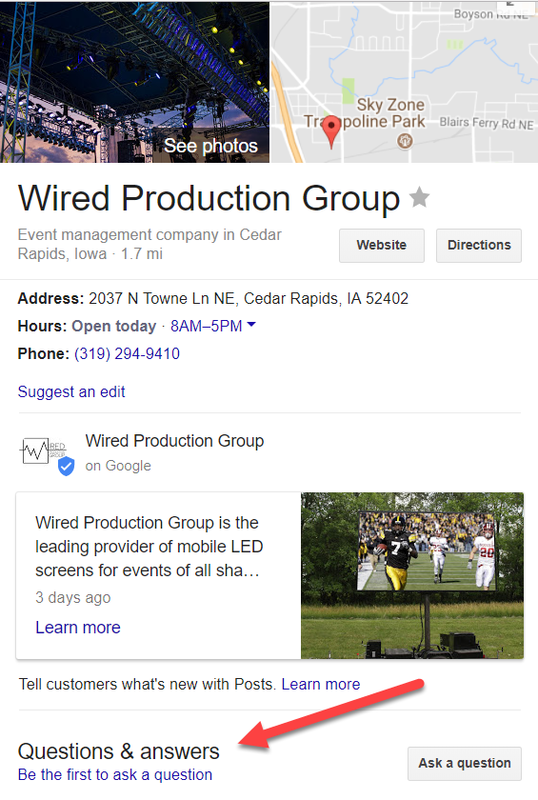 An important first step in any local SEO strategy is to claim and verify your local business’ Google My Business (GMB) listing. Getting on Google My Business can increase your chances of showing up in Google’s Local Pack, Local Finder, Google Maps, and organic rankings in general. Qualifying local businesses can claim this free listing on Google and include basic information about their company, like their address, phone number, business hours and types of payments accepted. Many local businesses just claim their GMB listing and forget about it. What most businesses don’t realize is that there are a variety of other features you can use to optimize your Google My Business listing and several reasons why you should frequently check your business listing to ensure that it’s accuracy stays intact. Want to know more? There are a variety of questions you can answer to complete your Google My Business profile. When done, your listing will have valuable data that will make it easier for potential customers to find your company. And if you don’t fill that information in, someone else could. Many business owners don’t realize that anyone can suggest a change to your business listing — and that includes competitors. 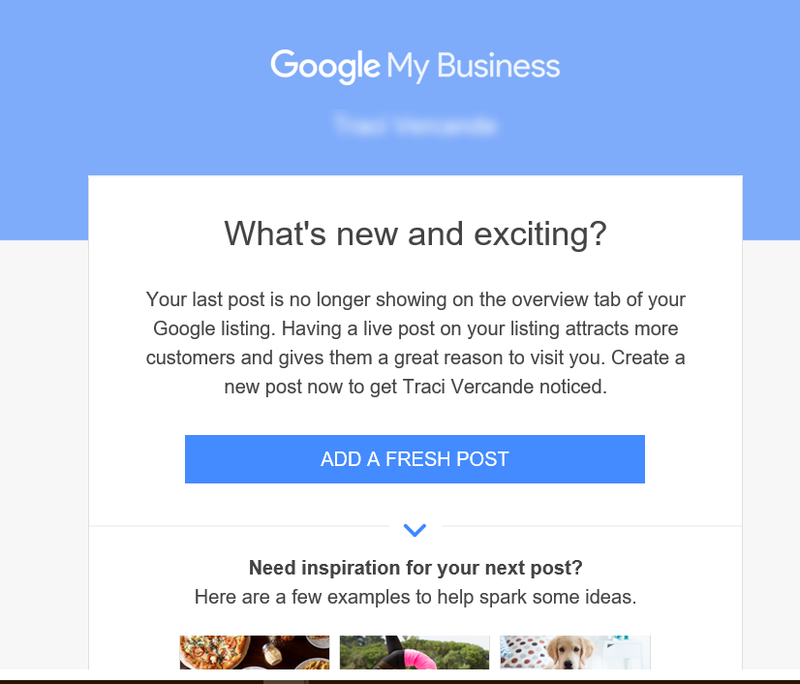 This is just one reason why it’s very important that you login to your Google My Business dashboard regularly to ensure that no one has attempted to make any unwanted changes to your listing. You’ll see a notification that changes are pending if someone has made suggested changes that need your approval. 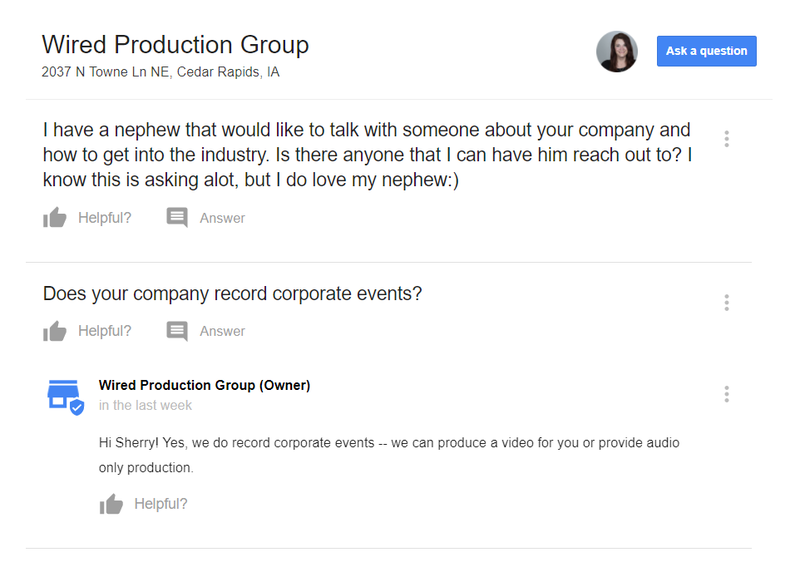 Also, it’s important to realize that Google encourages people who are familiar with your business to answer questions, so Google can learn more information about your company. To do this they can simply click on the “Know this place? Answer quick questions” link. If they know the answer to the questions, they can answer. If not, they can decline. Now, some business owners have cried foul, saying that competitors or others with malicious intent can wreak havoc on their Google My Business listings with this feature. However, Google’s philosophy is that this type of “user-generated content” helps to build a community, more fully completes a business’ profile, and allows Google to experiment with different search strategies. After you get your Google My Business listing verified, continue to check your listing regularly to be on the safe side. You can have fun with your Posts by adding an image, a Call to Action (CTA), and even including a link to another page or website. If you’re using Yext, you can create GMB Posts directly from your Yext dashboard. If you’re having an event (like a webinar) you can set up an event Post with a date and time and then add a link to the registration page. Does your latest blog post rock? Add a short description of your blog post and link to the post on your blog. The possibilities with Posts are endless! Posts stay “live” for seven days or “go dark” after the date of the event. Google is great about sending you reminders when it’s time to create a new Post. 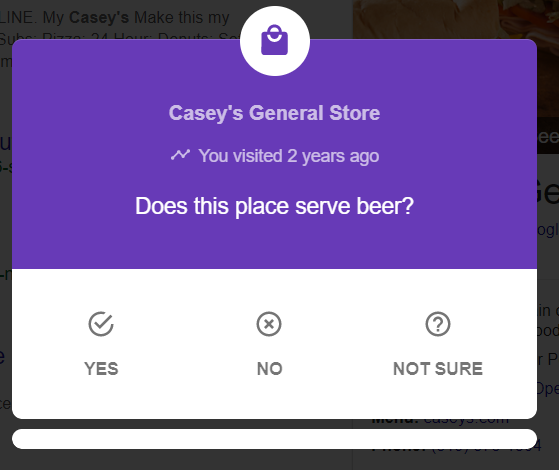 Do Google My Business Posts help with search rankings? Joy Hawkins and Steady Demand tested whether Posts had an impact on rankings, and they found that making Google My Business Postsmaking Google My Business Posts can improve rankingsimprove rankings. 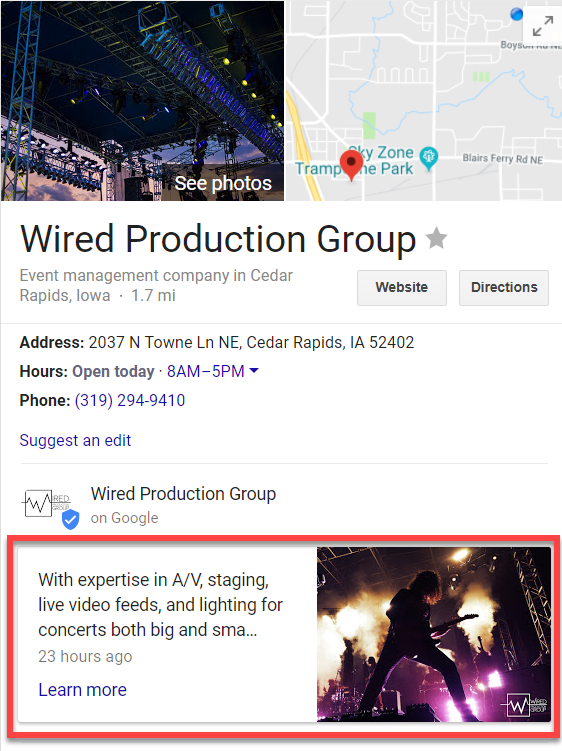 Google’s new Booking button feature can really help your business stand out from the crowd. If you have any type of business that relies on customers making appointments and you’re using integrated scheduling software, people can now book an appointment with your business directly from your Google My Business listing. This can make it even easier to get new customers! 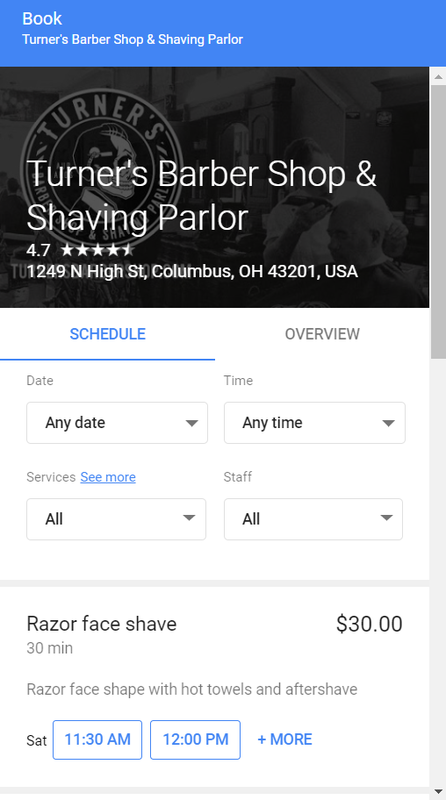 If you have an account with one of Google’s supported scheduling providers, the booking button is automatically added to your Google My Business listing. Did you know that you can allow potential customers to send you text messages? This is a great way to connect directly with potential customers. If you don’t want text messages sent to your personal phone number, you can download Google’s Allo app. 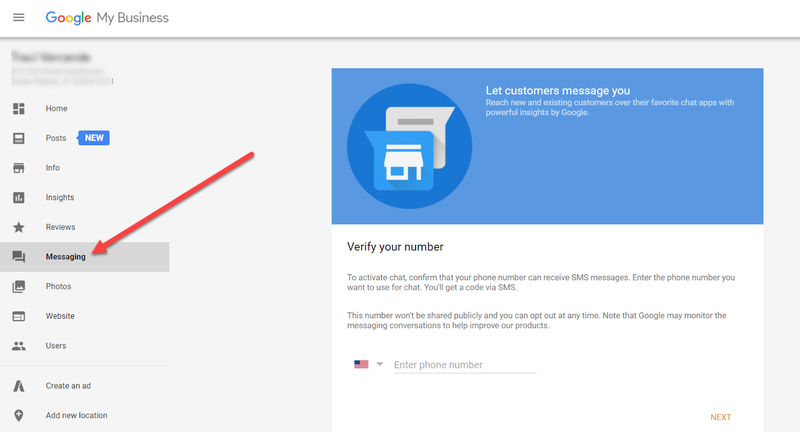 When you set up your Allo account, use the same phone number connected to your Google My Business account. Now when someone messages you, Allo will send you a notification instead of the message appearing in your personal text messages. 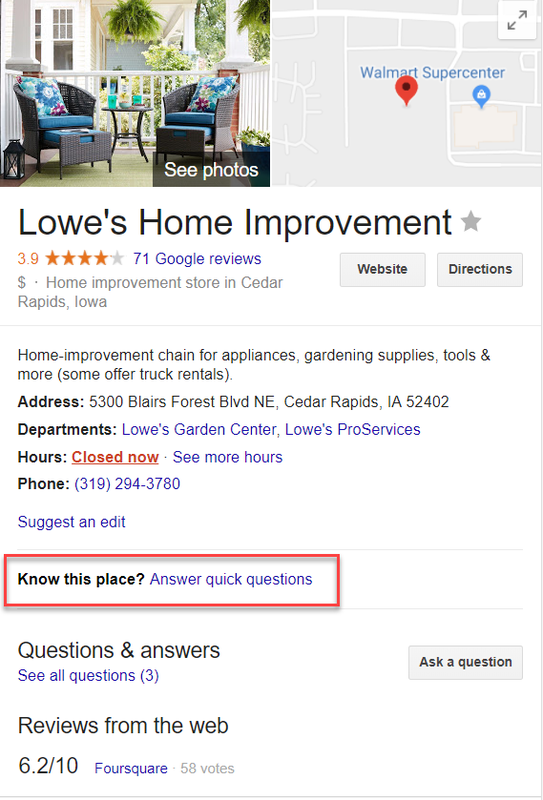 Questions & Answers is a relatively new feature to Google local search. It’s very cool! Just like it sounds, Q&A allows people to ask questions about your business and you can answer those questions. The Q&A feature is not visible on the mobile GMB app. You need to login to the GMB dashboard to see if you have any new questions that need answering. You cannot monitor the Questions on a mobile device unless you have an Android phone. You can use the Google Maps App on Android devices to manage the Q&A feature as the business. 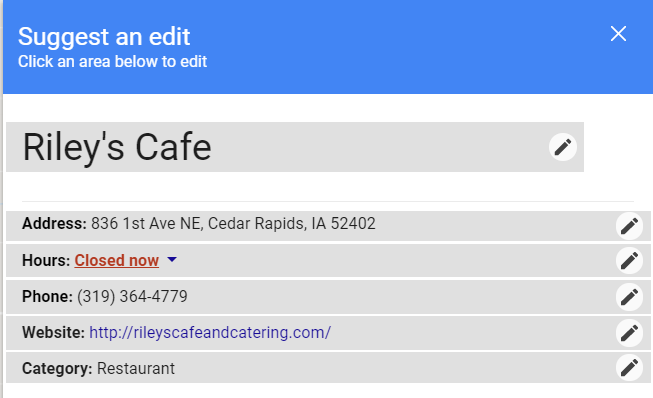 To do this, download the Google Maps app, sign in with the email address you use for your GMB listing, and you will get push notifications if someone asks your business a question. TIP: It’s important to note that just like “Suggest an Edit” on GMB, anyone can answer questions asked of your business. Therefore, you want to keep an eye out and make sure you answer questions quickly and ensure that if someone else answers a question, that the answer is accurate. If you find that someone is abusing your GMB listing’s Q&A feature, reach out to the Google My Business support forums. Unlike Yelp, which vehemently discourages business owners to ask their customers for reviews, Google encourages business owners to ethically ask their customers or clients for online reviews. 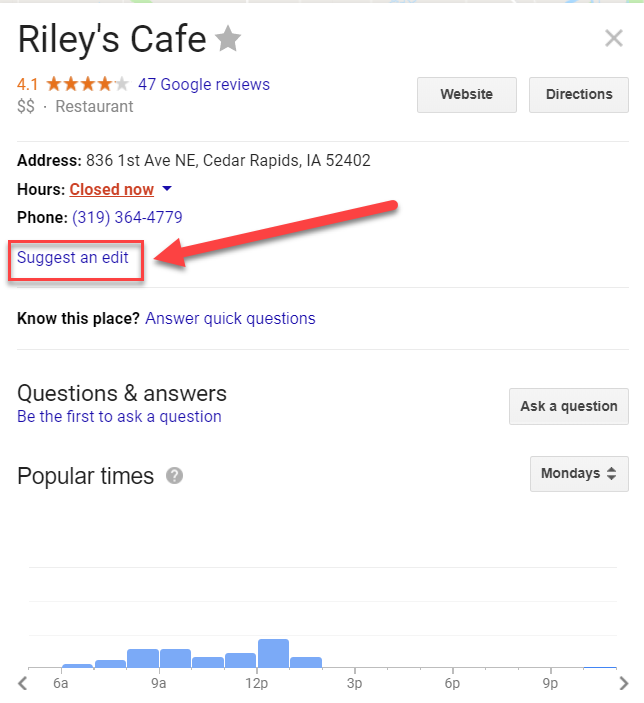 Online reviews appear next to your listing in Google Maps and your business’ Knowledge Panel in search. Reviews can help your business stand out among a sea of search results. What happens if you get a negative review? First, don’t freak out. Everybody has a bad day and most people recognize that. Also, if you have a troll that gave you a one-star review and left a nasty comment, most people with common sense recognize that review for what it is. It’s generally not worth stressing over. To learn more about strategically getting more online reviews, check out this article from Moz.